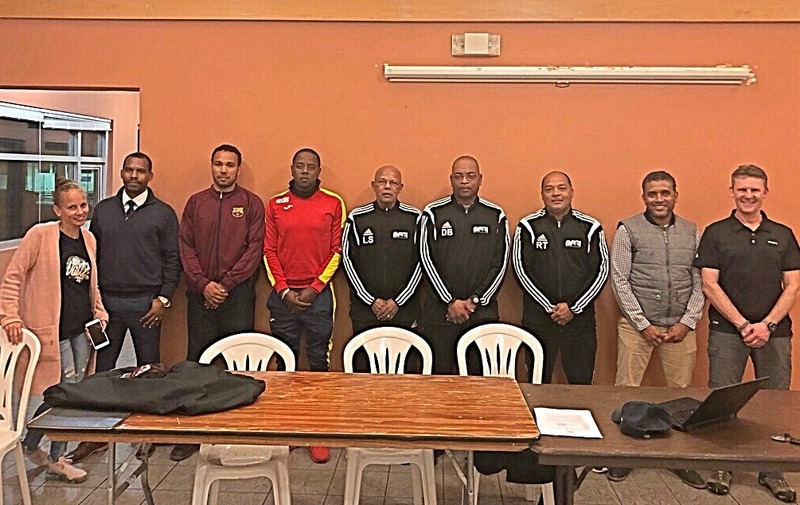 The Bermuda Football Coaches Association held its Annual General Meeting at the National Sports Center Pavilion. During the meeting the election of officers for the 2019-2020 year was held, with the incumbents standing for re-election returned to office. Three new members were elected by the membership to the executive committee. Richard Todd was returned unopposed as President for another term to lead the association. Additionally Maceo Dill (Vice President) and Khomeini Talbot (Secretary) also returned in their roles as Executive Officers unopposed. After six years serving as treasurer for the BFCA, Darran Reitze opted to not seek re-election for another term. He was thanked for his years of service and contributions by the membership. Omar Shakir, from Pembroke Hamilton Club, was the sole nomination received to fill the role of treasurer and was unanimously voted in by the membership. Dennis Brown, Larry Smith and Derek Stapley were returned as executive members for another term. Joining the executive committee for the first time were Danvers Seymour and Tracee Seymour from Somerset Cricket Club.